Welcome to another RemARKably Creative Blog Hop. This month, we're featuring projects made with the products included in the Colorful Seasons Promotion. 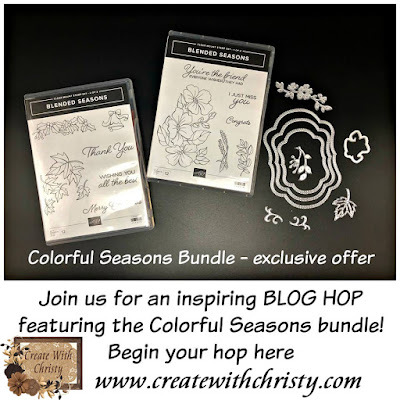 This promotion includes the Blended Seasons Bundle, and I've used it on my card. This bundle can be used on so many wonderful projects! 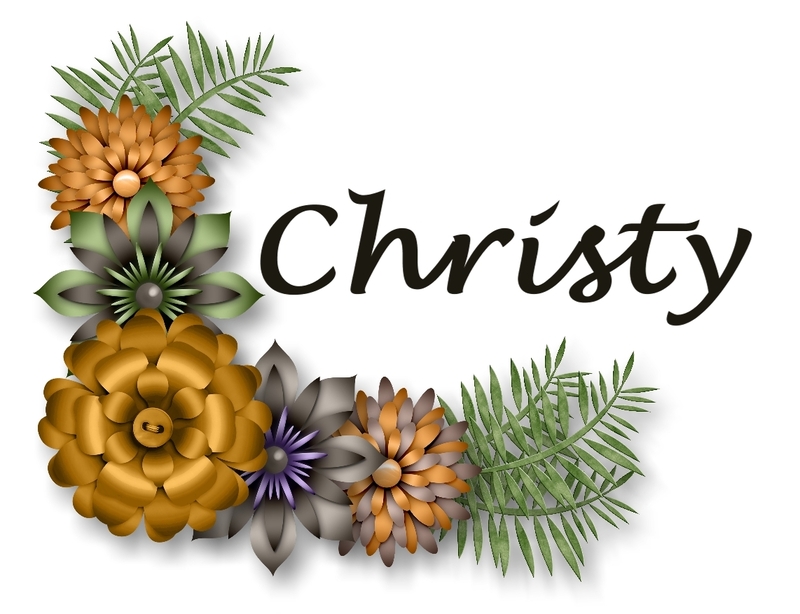 It includes images that work with Fall & Christmas projects, along with images that can be used all year long! I love versatile sets like this...especially when they coordinate with a die set! The stamp set also includes some wonderful greeting stamps...everything you need! 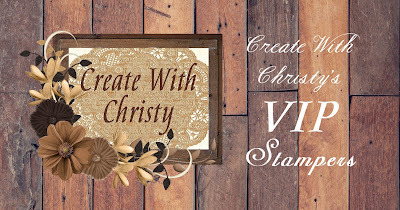 You can see the stamp set in the blog hop picture at the top of this post, along with the Stitched Seasons Framelits Dies. 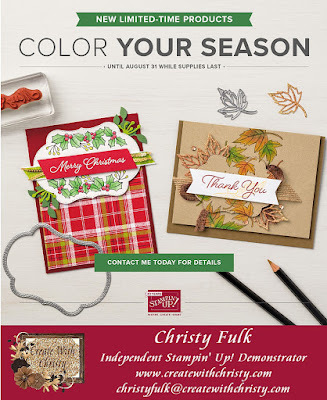 You can purchase the stamp set and dies separately or as a bundle. If you want both, you definitely want the bundle, because it saves you 10%! You need to hurry, though! These products are only available until August 31, 2018 or while supplies last...whichever comes first. Then, they'll be GONE FOREVER! I decided to go with a card that can be used any time of the year. 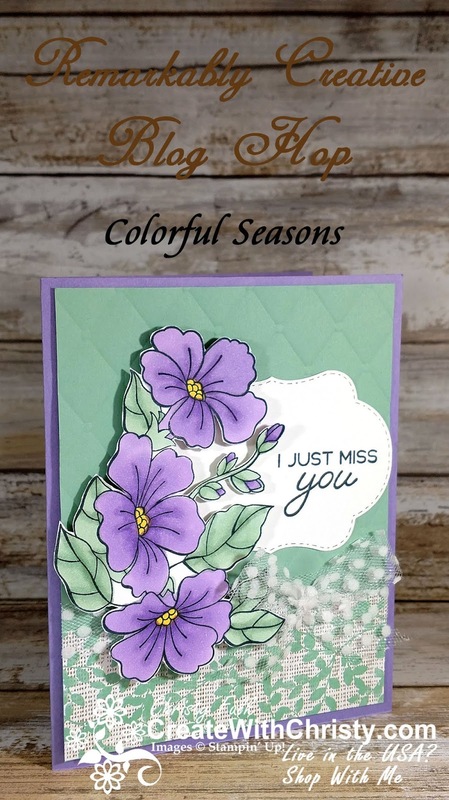 I used the beautiful floral image in the set, and fussy cut it out. 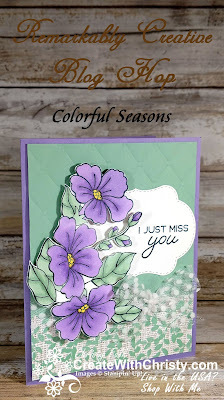 I also used some of the new Stampin' Blends from the Annual Catalog. 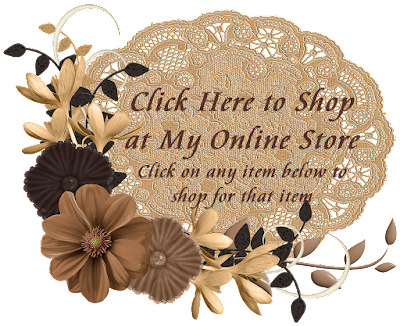 You can get the full supply list below the blog hop list. Nature's Poem Designer Series Paper (DSP): 4" x 2"
Emboss the Mint Macaron piece by running it through the Big Shot with the Tufted Dynamic Textured Impressions Embossing Folder, using the following sandwich: (beginning from the bottom) Big Shot Platform, folder with cardstock inside, & Standard Cutting Pad. Attach the DSP piece across the bottom of the embossed piece. Wrap the 6" piece of the tulle ribbon across the top of the DSP layer, attaching the ribbon ends to the back of the embossed piece. Fold the Highland Heather piece in half (fold on the left) to form the card base. Attach the embossed piece to the center of the card front. Die-cut a label from the Whisper White greeting piece using the smallest label/frame die in the Stitched Seasons Framelits Dies. Stamp the "I Just Miss You" stamp from the Blended Seasons Stamp Set onto the right side of the label using the Tuxedo Black Memento Pad. Attach the label to the right side of the card, about a 1/2" above the ribbon. 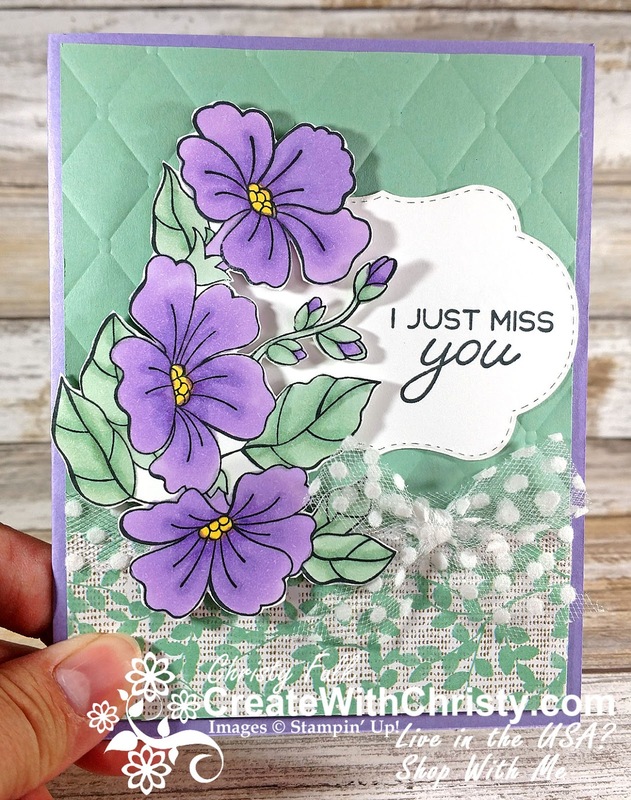 Stamp the large floral stamp onto the last Whisper White piece using the Memento Pad. Color the inner parts and lines in the flower petals with the dark marker and the rest of the petals with the light marker (coloring over the dark areas to blend), from the Highland Heather Stampin' Blends Combo Pack. Color the lines inside the leaves with the dark marker and the rest of the leaves with the light marker (coloring over the dark areas to blend) from the Mint Macaron Stampin' Blends Combo Pack. 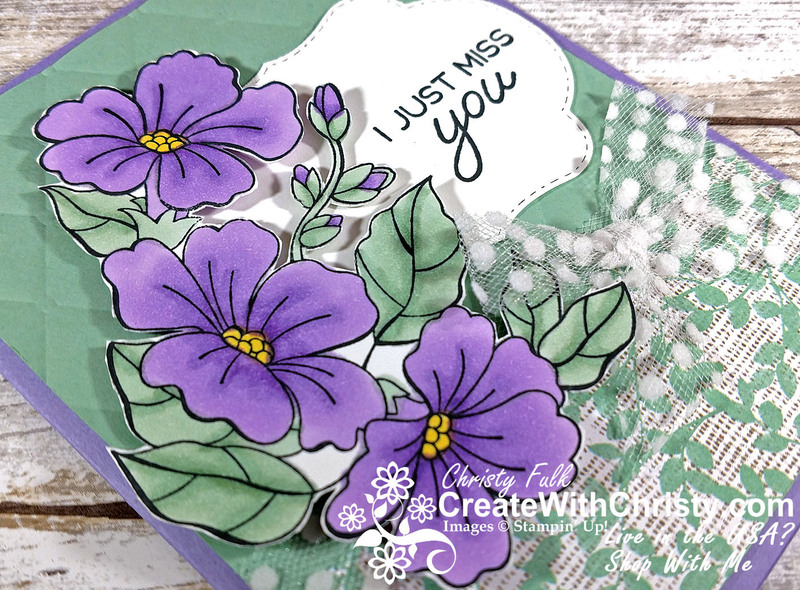 Color the flower centers in with the Light Daffodil Delight Stampin' Blends Marker. Fussy the image out with Paper Snips. Attach it over the left side of the label using Stampin' Dimensionals (see picture for placement). Tie the 9" piece of tulle ribbon into a bow, and attach it to the right side of the attached ribbon using a Mini Glue Dot. Trim the ribbon ends at an angle. I hope you enjoyed my card. Now it's time to enjoy everyone else's! You're at Christy Fulk - Create With Christy - USA in the list. You can either go to the name after mine, or go through the hop the other way, and go to the one before mine. 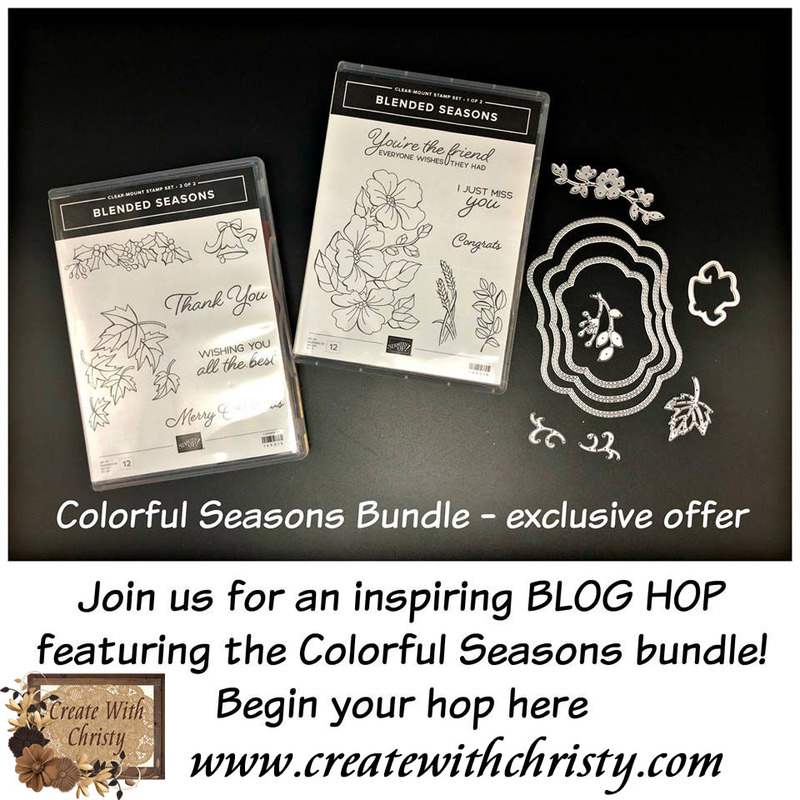 Note: I've got an additional special for those that order the Blended Seasons Bundle from me, and an added bonus if they add the Watercolor Pencils - Assortment 2! CLICK HERE to find out more! I did my first Facebook Live Video a few days ago, and it shows the projects in my special, along with me demoing another card using the bundle. You can see it by CLICKING HERE. The Products in This Ppromotions are While Supplies Last or August 31, 2018...Whichever Comes First! 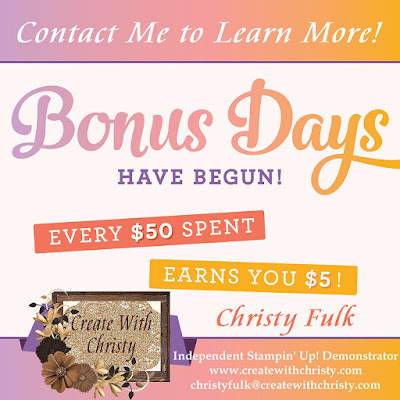 For Every $50 You Add to a Single Order (before shipping & tax), Stampin’ Up! 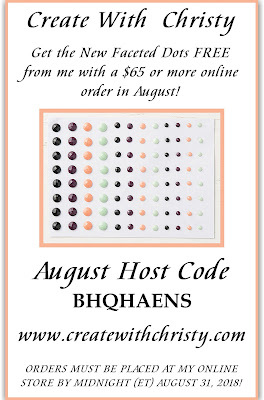 Will Email You a $5 Coupon to Use in September!